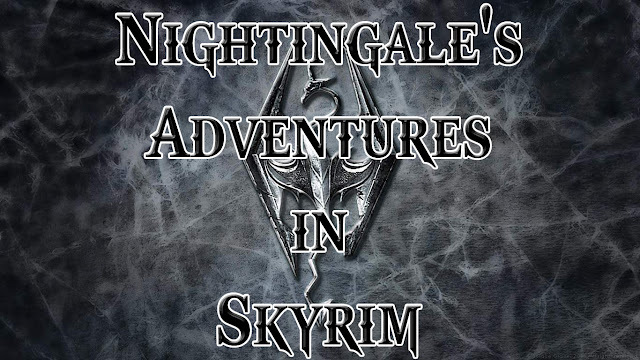 Nightingale's Adventures in Skyrim: Nightingale's Adventures in Skyrim: Chapter 1 - Starting All Over Again...Dark Brotherhood, Here I Come! 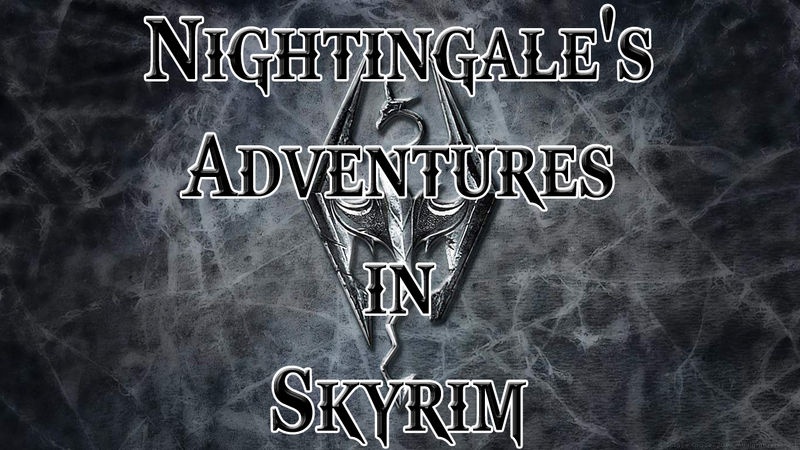 Nightingale's Adventures in Skyrim: Chapter 1 - Starting All Over Again...Dark Brotherhood, Here I Come! Greetings and Salutations fellow gamers! 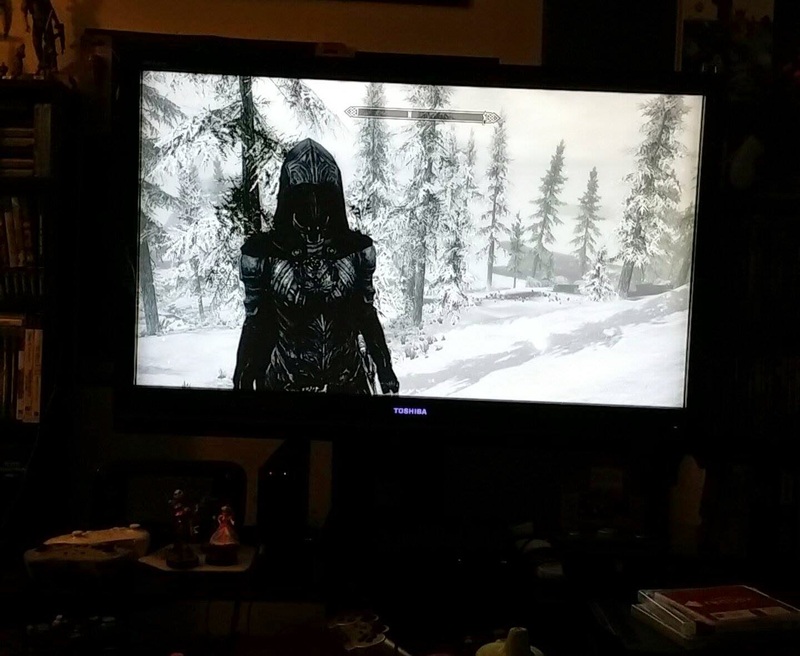 So as many of you already know due to my last post, I have recently begun playing Skyrim all over again from scratch on my PlayStation 3. 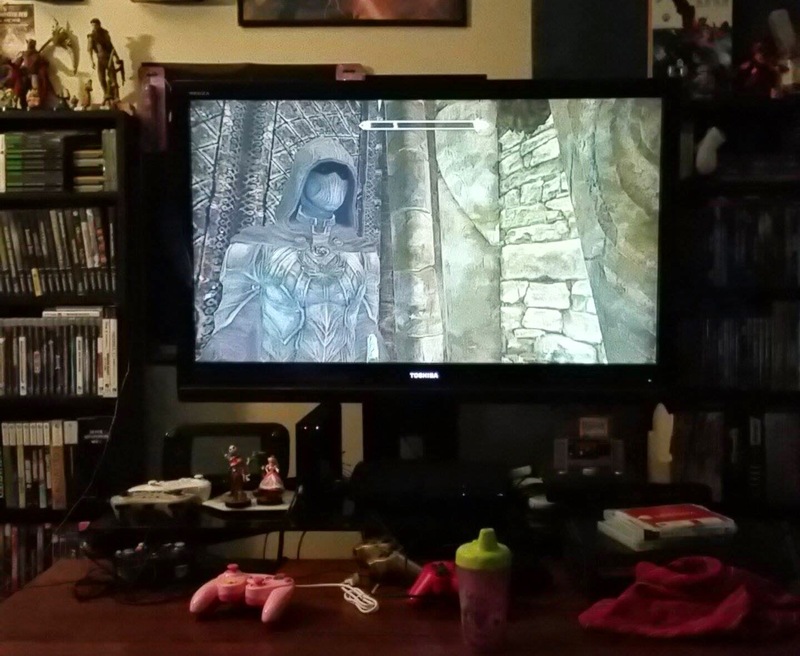 Now, I have played Skyrim before on my Xbox 360 before I decided to start all over again on my PS3. Back on my account on Xbox, I was already a level 40, give or take, I want to say I was a little past that to be honest. Back on the old account, I was already Master of the Thieves Guild, Ruler of the Dark Brotherhood, a Vampire Lord, a Nightingale, and who knows what else. So starting over, you know sought out first to reclaim all of my old titles back. The opening was as it always is, no real changing that. As soon as I passed all that, I ran through a tad of the main story line. After completing about maybe 3-4 missions on the actual story line, I thought, "Okay, that's it...got a little bit of leveling up. Cool. I'm the almighty Dragonborn...I know me a few Shouts now...Time to get to cracking on the stuff that matters in RPG's such as this - SIDE-MISSIONS!!!!" Okay, if you know me at all you already know I dove head-first into the Dark Brotherhood missions that lead me to joining the clan (Shortly after I joined the Companions and became a werewolf...because lycanthropy always comes first, duh). For those who don't know, in order to join, you must help a certain little boy (Aventus Aretino) out with the Dark Sacrament he is attempting to do. 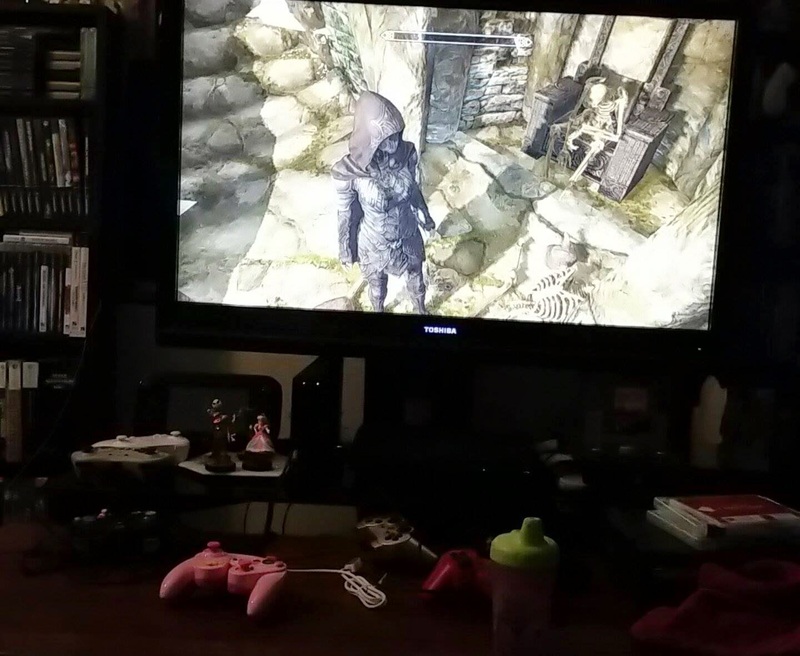 Now, you may have heard rumors up to this point talking about a little boy trying to perform the Dark Sacrament, but even if you haven't, you can still make your way to Windhelm and find him in his family's old house. The boy, escaped from the orphanage of Riften, wishes death to come to the old hag running the orphanage he escaped from. If you talk to him, and pretend to be answering his "prayers", you will start your course on to the Dark Brotherhood. After assassinating the old woman in Riften, after some time you'll get a very mysterious note with a handprint on it, and the words, "We know". Very vague, yes, scary, nope...until you decide you'd like to take a nice little nap, only to wake up in some horrid abandoned shack, face to face with the crazy lady (Astrid) that abducted you. Yeah...you're the Dragonborn...and you still get kidnapped...the hell is that? Well, one thing leads to another, and you're full-force on your way into the Dark Brotherhood. My reasoning for wanting back into the Dark Brotherhood so soon is a bit of a slightly shallow, and slightly messed up reason. Okay, running on foot through Skyrim is a bit of a pain in the arse, right? So what makes it easier? A horse, especially if that horse is solid black, with red glowing eyes and looks slightly demonic, right? Right! You see...in my old game I had already done all of the Dark Brotherhood missions, and finally gained access to Astrid's horse, Shadowmere. Because who doesn't want a demonic horse that rises up from a black pool of God-knows-what?! Well, in my old game my thinking was that Shadowmere was immortal and could not die - boy, was I wrong. I was racing through Skyrim one day, and I forget what I was running from, but I attempted to jump off a cliff while mounted on Shadowmere...Well, I lived, but my supposed-immortal-horse...not so much... *sad face*. Me thinking he's dead, and that's that, I went on my merry way to acquire a new horse...all with a very, very broken heart, mind you. I found out later on that after a certain amount of time, Shadowmere respawns at the place he died. Unfortunately for me, I did not remember the location of his death. So you can see why I had the urgent need to get Shadowmere back into my life. You can imagine this time around I am super careful with my horse now, and if he does die, I'm making a marker on my map in that location. I will not make the same mistake twice! Once I became almighty, supreme ruler of the Dark Brotherhood (So much goes on in that side story, but I don't want to divulge too much for those who have yet to do it), my next conquest was the Thieves Guild, because I knew that'd lead me to the Nightingales, and I needed my Nightingale armor back. Now, Nightingale armor is not the best armor you can get in Skyrim (The best must be forged, and we'll get to that later when I play it further), but I love the way it looks, it's so badass looking! I mean, just look at it! It's awesome (Shots below were taken during my gameplay)! Walking through a Winter Wonderland...as a Nightingale! Pillaging dungeons...it's what I do best! On your way into the Thieves Guild, you do so many missions, and get screwed over again and again. Let's just say some of those are not what they appear to be, just like what happened in the Dark Brotherhood. As of now, I am a Nightingale, and I am Master of the Thieves Guild, BUT I have not finished the mission completely per say. You see, at some point you're supposed to return something called the Skeleton Key back to its home, buuuuuut I think I need it a little more...at least for now. Let's just say I love picking locks, and I hate to waste lockpicks...so yeah, and infinite lockpick that never breaks? No treasure is safe from me anymore! *cue evil laughter* I swear I'll return it...once I unlock everything there is to unlock in the game. When I last left off on the game, I had just reached a level 16, I believe. A level 16, and I've a;ready done that, and so much more that I'll talk about more in future posts. In the main story line, I have just spoken to Paarthurnax, where he informed me to go out and seek the Elder Scrolls. 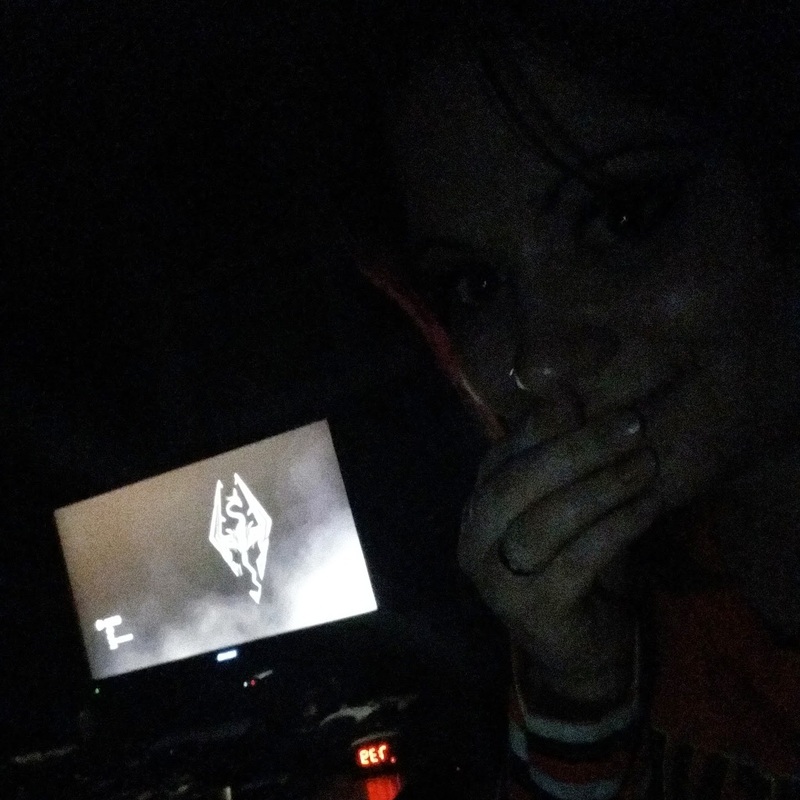 And with that, this Dovahkiin is out, till next time, my Skyrim brethren.